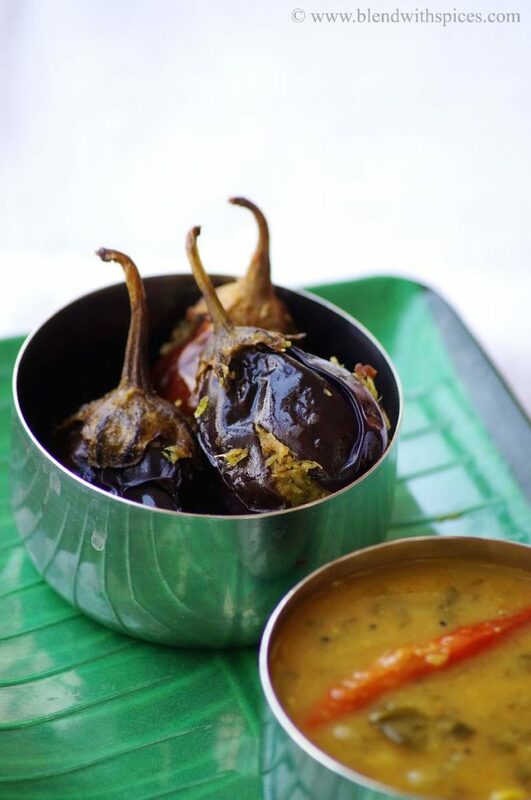 If you are looking for more brinjal recipes then do check Gutti Vankaya Koora Podi, Gutti Vankaya Senagapindi, Brinjal Rasavangi, Brinjal Sambar, Kalchina Vankaya Pachadi, Gutti Vankaya Ulli Karam, Vankaya Kobbari Karam and Vankaya Pappu. Grind the coconut, coriander leaves, tamarind pulp green chillies and salt into a little coarse paste and keep it aside. Now stuff the eggplants with ground coconut mixture and keep them aside. Heat oil in a wide pan. Place the stuffed eggplants carefully into the pan and cook on a high flame for 2 minutes. Sprinkle a handful of water and cove it with a lid. Let it cook on a low flame. Keep checking in between and tun the brinjals until they are evenly cooked. When they are soft, tun off the flame. If you have any remaining stuffing, add it before turning off the flame. looks really delicious and tempting. 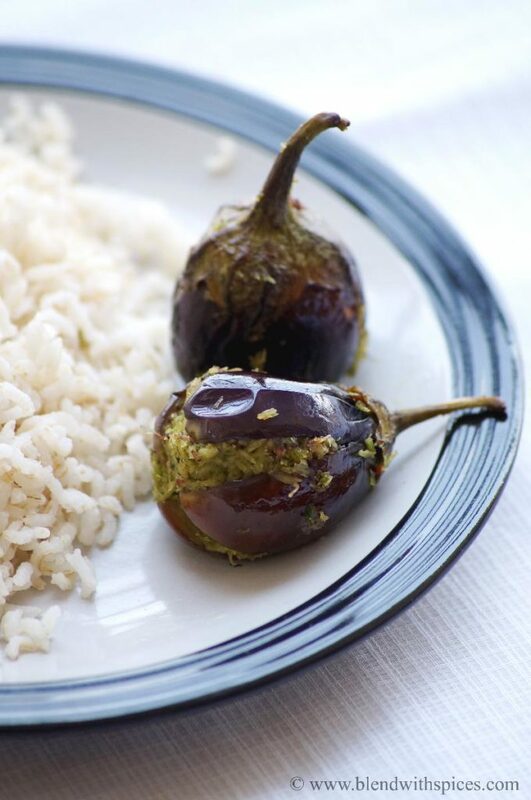 Delicious and wholesome looking stuffed brinjal.